Whether you think buying a relief t-shirt is a good strategy for raising money after a natural disaster, or a play into consumerism, purchasing one sends at least some of your money towards some people who really need it. 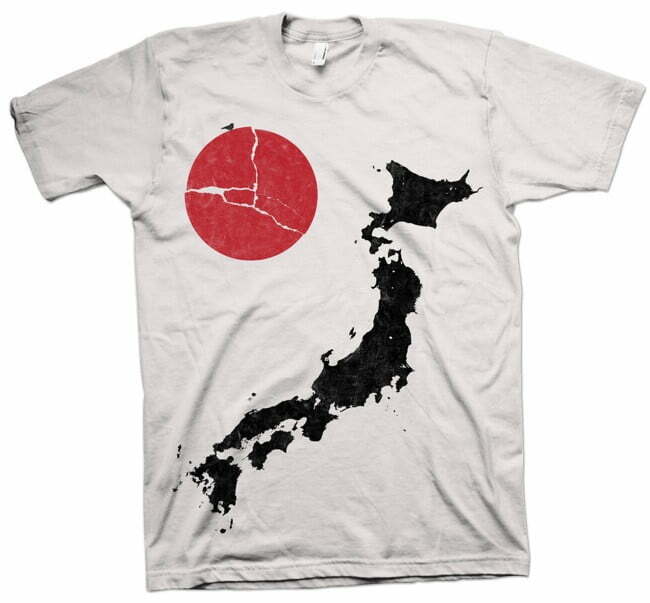 So if you are interested in both showing your support for the country in need and donating some actual money towards relief efforts, we’ve found a few cool-looking t-shirts that might inspire you to help the cause. This great design from Hide & Seek ($22) will send all profits to one of the following organizations: The American Red Cross, Hands on Tokyo, Japan Earthquake & Tsunami Relief Fund, Save the Children: Emergency Response. Amazon has offered returns via a limited number of Kohl's stores since 2017, but the service is about to expand to all 1,150 of its outlets across 48 states. The service is free, too. Postmates has expanded its on-demand delivery service to 1,000 additional U.S. cities, taking the total number served to more than 3,500 across all 50 states and putting it within reach of 70% of households. Amazon cut the Instant Pot LUX60 6-quart, 6-in-1 multi-use programmable pressure cooker price so low, people who already have an Instant Pot may buy it as a spare. Digital Trends' reviewer said, "The Instant Pot Lux won't disappoint."